Are sinkholes prevalent in your area? Does proximity to a sinkhole affect value? How close? Would reporting sinkhole activity impact underwriting? Are you currently checking and reporting on sinkholes or other environmental hazards? SOURCE: Hallie Benjamin, Business Development, FloodInsights. GUEST BLOG: Roger Normand of http://edgewaterhaus.com has graciously given his permission to re-blog his article on appraising "Green Homes". If you have read my previous blog entitled “Seeing Red on a Green Appraisal – the Challenge,” you know that the appraisar failed to list or value any of the green/energy efficient aspects of EdgewaterHaus. Does it matter? Most borrowers include the cost of the green enhancements as part of the overall construction cost. They then get a loan to cover some or all of the up front construction cost. If the appraisal doesn’t value the green enhancements, the lender will likely reduce the value of the loan accordingly, particularly if the borrower is already at the maximum loan to value amount. It’s the “no tickee, no laundry” syndrome. Without the money to finance the up-front cost of green enhancements, the borrower may be forced to decide among competing priorities. What to give up: Upgraded kitchen cabinets? Imported granite countertops? Back yard deck? Garage? Thicker walls for higher R-value insulation? Triple-pane windows for double-pane? Geothermal HVAC? Solar voltaic or solar thermal systems? That’s a tough call for many people, even for those who want to go green. Green enhancements are often invisible – you can’t see the extra insulation; a window is a window. Yet’s it’s easy to fall in love with very visible upscale kitchen appliances, custom draperies, or the lovely landscaping. These amenities provides an immediate, visceral connection of quality and beauty, while the former is invisible to the casual observer. Some green enhancements like a tighter building envelop or solar systems provide an economic benefit, but the pay back period extends over a period of years. I’m not a sociologist, but I think most Americans prefer immediate vs delayed gratification. So they opt for the lovely imported tile floors, and so what if they spend $100 a month or more on utilities. I should also clarify shades of “green” here. Good for you if you are going to replace incandescent bulbs with CFL bulbs, or use energy star appliances. Just don’t expect the appraiser to note or value that. These are “typical” upgrades. I am talking about more substantial improvements, like additional wall, ceiling or sub-slab insulation beyond code minimums requirements. And while use of sustainable materials is noble for the environment, I suspect somewhere between few and not many individuals would be willing to pay more for a home that includes sustainable materials. Perhaps more importantly, there is really no way for the appraiser to objectively quantify its marginal market value. So go for sustainable materials; just don’t expect it to be valued in the appraisal. In my web research I found many articles written about the failure of property appraisers to equitably value green construction, but few suggestions on how to increase your chances of getting an appraisal that equitably values “green,” or how to challenge one that failed to do so. So here are my suggestions freshly culled from the school of hard knocks. I wish I knew then what I have now learned through experience and research. 1. Work with a lending institution that sees real value in “green.” Lenders who value green construction may be just as scarce as green appraisers. It will likely be an easier case if you will be building or substantially remodeling a home to a nationally recognized LEED, Energy Star, Passive House green standard. Talk to the lender about whether they will support your green efforts before applying for the loan. If not, walk! You want the lender on your side if your wanna-be green appraisal turns you red, like it did with us. Our lender was extremely supportive, agreeing to discard at no cost to us an appraisal that valued our Passive House/LEED Platinum home as “typical” for energy efficiency. The bank then agreed to engage another recognized green qualified appraiser. AI maintains a registry of individuals who have completed courses in residential and/or commercial courses in its Valuation of Sustainable Buildings program. Find out which appraisers in your region have completed these courses and suggest to the bank that they select one of these individuals. Fortunately for us, our bank agreed to employ one of the two AI member in our area with green credentials, even though they had never used him before. 3. Make sure the appraiser is properly armed with all the green features in the home. Don’t let the appraiser guess or assume he/she will realize all the features. Lead the horse to water and hope he will drink it! Be sure the architectural drawings fully identify the green features. Ditto with the list of construction specifications. The appraiser should have access to all the drawings and specifications, and be suspicious if none are requested. Provide the appraiser with a summary, brochure, web link or other reference material that explains the green construction standards you plan to meet. Offer to discuss the green specifics with the appraisers. Even better is to have the builder or architect discuss the green features with the appraiser. Be specific, polite, and professional. And remember that the appraiser’s job is assess the VALUE on the property based on what other individuals are likely to willing to pay. So emphasize the economic benefits of energy efficient aspects. 4. Take a deep breath and wait for the appraiser to prepare the appraisal. My next blog will discuss how the appraiser should recognize the green features of the home, and different approaches on valuing green. Do Energy Upgrades Add Value to Existing Homes? Results of a valuation study of three existing homes located in Los Angeles indicate the energy upgrades in these cases, added 6-9% to their current market value. In query of proof that energy upgrades contribute value, the study determined appraised market values of the before and after upgrade conditions. The challenge for appraisers is in finding direct market evidence, comparables, required to make a strong enough case with a level of support acceptable by underwriters. It’s particularly challenging when valuing upgraded existing homes, which represent the majority of the market focus of the emerging home performance industry. There is more evidence for new energy efficient homes than is discoverable in the existing home sector. Data affirmation that energy upgrades add value to existing homes may be a long time coming. Along with energy upgraded homes, the numbers of happy home owners continues to climb. How can happy home owners be a problem for valuation affirmation? 1-	Happy owners of energy upgraded homes don’t often sell. This is a compelling part of the story as we witness market transition. As home performance contractors are out there doing good work, they are creating a segment of occupants who are so comfortable in their homes that now cost less to live in, they are looking to stay, not sell. These homes don’t often turn over. What is the value of a home that is so treasured by its owners, they say they will never sell? 2-	The second reason is the need for accurate, accessible, sales data of green homes. By now, many of us have heard the call for “greening the MLS”. More data may actually exist but goes unreported. To get there, training is needed for real estate agents, appraisers and lenders. And, we need to get 800+ MLS systems up to speed, or create another information solution. Is it realistic to hope this will happen any time soon? 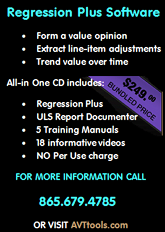 There are approved methods available to appraisers when challenged with valuing a unique property or a variety of other factors that can make market evidence scarce. Several approaches may be employed, and then reconciled with the others for a resulting range of value. A white paper will be published later this year that will describe the approaches employed in this study. Energy and non-energy benefits. Energy efficiency, as it reduces operating expenses, produces numbers appraisers can work with. Proof of performance as evidenced by utility records will be one of the foremost considerations. Non-energy benefits such as improved durability and indoor air quality are also important but more difficult to quantify. The control of heat, air and moisture of a house envelope should significantly extend its effective life. 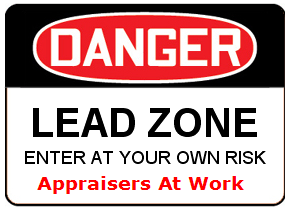 Effective life is a question appraisers raise, not only about the house being valued but each comparable researched. Appraisers may include further support of their conclusions by citing what they term as secondary evidence. Secondary evidence is in accelerating growth mode. We know that energy efficiency awareness is increasing and home owners are responding by talking with their dollars as they invest in their homes. Incentive programs and home performance contractors are driving the business of energy focused remodeling. Build It Green, California’s premier green certification program surpassed the 10,000 mark in 2011 for number of certified new homes. Shoppers are asking about operating costs. Financing for energy upgrades is a hot topic as the market spurs new opportunities and innovative loan products, some of which require valuation of the home “as improved”. We see these market shifts, but appraisers must ask how they translate locally. A look at the effects of upgrades on two of the study’s homes. Family “A” opted for extensive upgrades as summarized: envelope, mechanicals, interior and exterior water fixtures and a 2.5 kWh solar PV system. Attic and crawl space were air sealed and can lights replaced to reduce infiltration. New insulation was installed to crawl space walls and ceiling, and to attic. A new heating/AC/ducts system and variable speed pool pump completed the improvements for a total cost of $44,500 after their $8,000 rebate. The appraisers were able to obtain 3 months of utility records subsequent to the completion of work which they measured against the contractor’s modeling projections. This house appears to be on track for total annual savings of 73% or more. The second family, with a smaller budget, chose a similar but less extensive scope without solar. Their case is interesting in two ways. 1. The result they’re most excited about is the notably improved indoor air quality. Their sons suffer from asthma. The significant reduction of asthmatic symptoms they experienced immediately after the upgrade work was an unexpected benefit. They are thrilled! 2. The second, and an interesting twist for the appraisers, was the home office over the detached garage with literally loads of electronic equipment. A disaggregation of the electric bill indicated a large plug load. This required the appraisers to differentiate the effects of upgrades to the house as separate from the office, in effort to derive relatively accurate numbers to account for energy savings. This case underscores the need for appraisers with green expertise to have the skills to analyze utility records and understand how a house uses its energy, as well as the recognition that energy upgrade scopes of work often produce important non-energy benefits, such as healthier indoor air. These cases are two examples of happy home owners who now have experiential knowledge. Having lived in their upgraded homes for a few months, they now value the improved comfort, indoor air quality, reduced costs and other aesthetics so much, they say they would not want to move. They stated to effect, that if they were shopping today, they would want a house that has, at minimum, similar energy efficient elements and they would spend more to get it. Knowledgeable buyers. The definition of market value incorporates the concepts that buyers and sellers be willing, able and knowledgeable. Home shoppers who could be defined as “quite knowledgeable” about energy efficiency today are ahead of the curve. They represent a minor percentage of the collective market. A few examples were found where shopper education is occurring with focused intent. The study looked at two businesses that are extraordinarily proactive in informing their buyers; Green Earth Equities in Fresno, CA and Green Canopy Homes in Seattle. Their model is to buy distressed properties, improve with deep energy upgrades and resell with fast turn times. Their effort to educate not only the individual buyers but also their local communities is a key to their success. Home owners and buyers will drive the market. Real estate professionals with green expertise may be pivotal catalysts as they are on the front lines, working face to face with these decision makers. Agents can help guide to ask important questions about utility costs, longer term operating and maintenance considerations as well as cost and availability of energy. Appraisers are called to define and report the actions of buyers, while they recognize the complexities of new building methodologies, standards, products, terms, trades and sources. Lenders need the knowledge base to understand all these. Proof of value of energy efficiency upgrades. Until more energy upgraded homes actually sell, the task to find proof as expressed in dollars will be a tough job for valuation analysts. Appraisers will need to look beyond their typical sources to find what evidence they can. It may not be 100% proof, it may not be undoubtedly clear, but they are called to understand the current state of their local market. As more real estate professionals gain green expertise they will be key contributors to the awareness building of home owners as well as the affirmation of their green-informed buying decisions. A white paper on this study will soon be published and look for Part 2 later this year, the study of four sold energy upgraded homes. This spreadsheet tool developed by Sandia National Laboratories and Solar Power Electric™ is intended to help determine the value of a new or existing photovoltaic (PV) system installed on residential and commercial properties. It is designed to be used by real estate appraisers, mortgage underwriters, credit analysts, real property assessors, insurance claims adjusters and PV industry sales staff. This tool was created with Microsoft Excel® 2007, and works with both Excel® 2007 and 2010. Use of this spreadsheet requires activating macros, ActiveX controls and data connections. A detailed user manual accompanies this tool and can be found in the download area below. Sandia Labs hosted a webinar describing PV Value™ on December 7, 2011, which can be viewed at the source site below. Updates will be made as necessary, with a new version released on or before September 1, 2012. The current version is 1.0. EcoHome's Rick Schwolsky is his own case study on the frustrations of trying to get appraisers to add value for energy-saving features homeowners and home builders put in their houses. Schwolsky writes, "It’s been years since I had a good argument with an appraiser. So when I found myself engaged yet again a few weeks ago, making the case for my new 4.2-kW PV system, it felt frustratingly familiar. I’ve been arguing the value equation of energy improvements with appraisers since back in the 70s, when I was building super-insulated, passive solar, PV-powered homes that passed comfortably through Vermont winters on the BTUs generated by a large dog." The National Association of Home Builders has produced, ""Imported Problematic Drywall: Identification Strategies and Remediation Guidelines," a new resource for its builder and remodeler members. According to a press announcement, "The publication represents more than a year of intensive research, testing, analysis and evaluation under the auspices of NAHB's Chinese Drywall Task Force, whose mission was to identify a permanent solution to problems with drywall emitting or off-gassing corrosive compounds, which can lead to blackening of copper electrical wiring and air conditioning evaporator coils and can cause mechanical, electrical and electronic failures." March 16, 2011 - A new resource for builders and remodelers looking for answers on the critical question of how to detect and remediate problematic drywall imported from China in recent years is now available from the National Association of Home Builders (NAHB). "Imported Problematic Drywall: Identification Strategies and Remediation Guidelines" can be downloaded at www.nahb.org/drywallguidelines. The publication represents more than a year of intensive research, testing, analysis and evaluation under the auspices of NAHB's Chinese Drywall Task Force, whose mission was to identify a permanent solution to problems with drywall emitting or off-gassing corrosive compounds, which can lead to blackening of copper electrical wiring and air conditioning evaporator coils and can cause mechanical, electrical and electronic failures. "The downstream effects of these problems include widespread property damage, huge financial losses, hundreds of lawsuits, and legitimate concerns about possible health effects from living with these unpleasant airborne compounds," said NAHB First Vice Chairman Barry Rutenberg, who moderated a webinar to introduce the guidelines to NAHB members. "In a landscape cluttered with untested products, devices and procedures purported to resolve drywall problems, NAHB based these guidelines on scientifically proven technologies, materials, means and methods for remediating drywall problems in single-family homes, condominiums, apartments and townhomes," Rutenberg said. Designed to address problematic drywall in residential applications, the document does not represent the only approach to remediating the problem. It is not intended to set minimum or maximum requirements for remediation nor is it intended to be used to determine the effectiveness of remediation efforts that have already been completed. Builders might decide to follow different guidelines that are less inclusive or that include additional measures. Replace all low-voltage, signal and data wiring; all switches and receptacles; and all smoke, fire and carbon monoxide alarms and life-safety systems. This reiterates interim remediation guidance issued by a Federal Interagency Task Force on this issue last year. If the home was built between 2001 and 2008 and it has been confirmed that problematic drywall is present throughout the entire home, total remediation is the only viable option. Selective remediation is an option if problem drywall is found in a limited portion of the home that can be isolated. To determine whether the remediation has been adequate, conduct clearance testing after the drywall has been removed and the house has been cleaned and aired out but before the drywall is replaced. Dr. David Krause from DOH Content on Vimeo. Picher, OK - Superfund Buyout Appraisers "Dogged By Complaints"
The buyout and relocation of families from the Tar Creek Superfund Site in Northeast Oklahoma is the culmination of more than 30 years of struggle for the people of Picher and Cardin. The Picher Mining Field, one of the richest lead and zinc deposits in the world, was the site of intense underground mining nearly 100 years ago. The mining took place during a time when environmental regulations were virtually non-existent. When the mining companies ceased operations in the 1970s, the region was left with an uncertain legacy of pollution problems that impacted the health of local residents. Children were especially vulnerable to a toxic mix of heavy metals. The lead-poisoning rate among children at one time was as high as 30 percent. A $100 million effort by the U.S. Environmental Protection Agency to remove lead from residential yards damaged many homes. The region¹s status as a Superfund site further devalued properties. A recent federal study by the U.S. Army Corps of Engineers found that large areas in Picher and Cardin could collapse at any time. That finding triggered the $50 million buyout of more than 700 properties that is now under way. Picher's Peril: Some claim buyout undervaluing homes by Wally Kennedy of The Joplin Globe (JOPLIN, Mo.) describes in detail many of the stories the Picher, OK families have with regards to the way their properties have been valued for the trust. Though trust members and a state official overseeing the buyout have repeatedly said the acceptance rate on offers is as high as 95 percent and that only a vocal minority is causing trouble, records show the independent appraisers hired by the primary contractor, Cinnabar Services of Tulsa, have been dogged by complaints from the start of the buyout process last year. Some residents say they are accepting whatever is offered because their properties in Picher and Cardin essentially have no value because of where they live. Any offer to get out is a good offer because it is likely to be the only offer they will get. “It’s desperation. It’s like having a gun held to your head,” said Missy Beets, who believes her house was undervalued by thousands of dollars even after a review appraiser increased the offer from $70,000 to $75,000. ARTICLE UPDATE: 2/23/2008 - Nearly 100 people attended an organizational meeting Saturday morning in the community room at the Picher Housing Authority. The group intends to create a database of written examples of how they felt they were treated unfairly by the appraisers and the trust. Several attending the meeting said the appraisers hired by Cinnabar spent no more than five to 10 minutes at their properties. Others said the appraisers didn’t even go into their homes and instead relied heavily on often outdated descriptions of properties on record with the county appraiser.